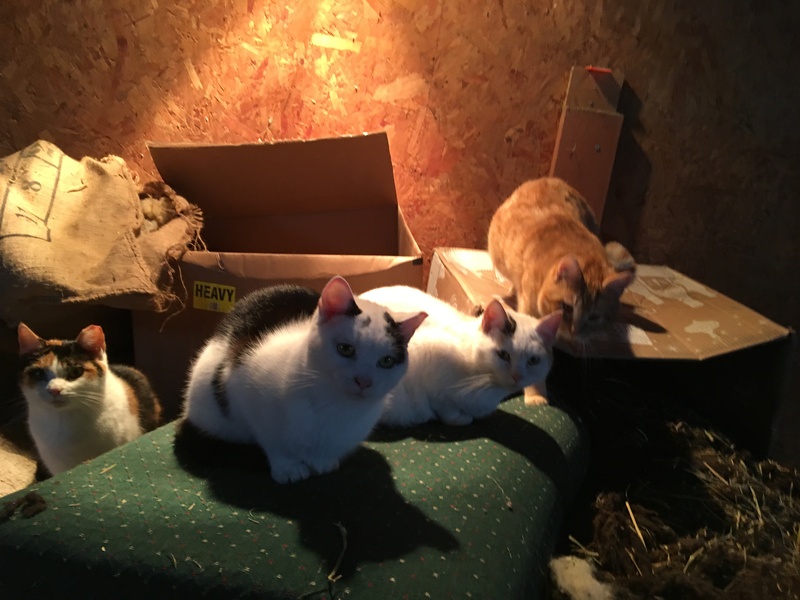 Home / cats / I put a heat lamp in the barn for the precious ones. You treat your critters well, no wonder Cooper loves you. If you wondered where I’ve been, I only figured out that you were still blogging yesterday! I had a link to Shoshanah.space but I thought is was just a sale site for your art and books. D’oh! I changed the home page to stuff for sale because I thought it was sort of hard to figure out from the blog what it is I do!